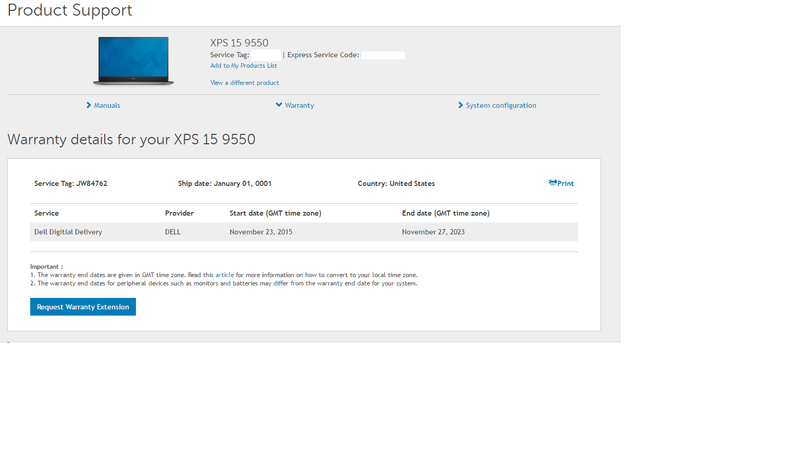 Just purchased an XPS 15 9550 from eBay and the service tag, when searched in the Dell database yields no warranty. This can't be right. Is this a mistake?The ship date is also January 01, 0001 which doesn't make any sense.